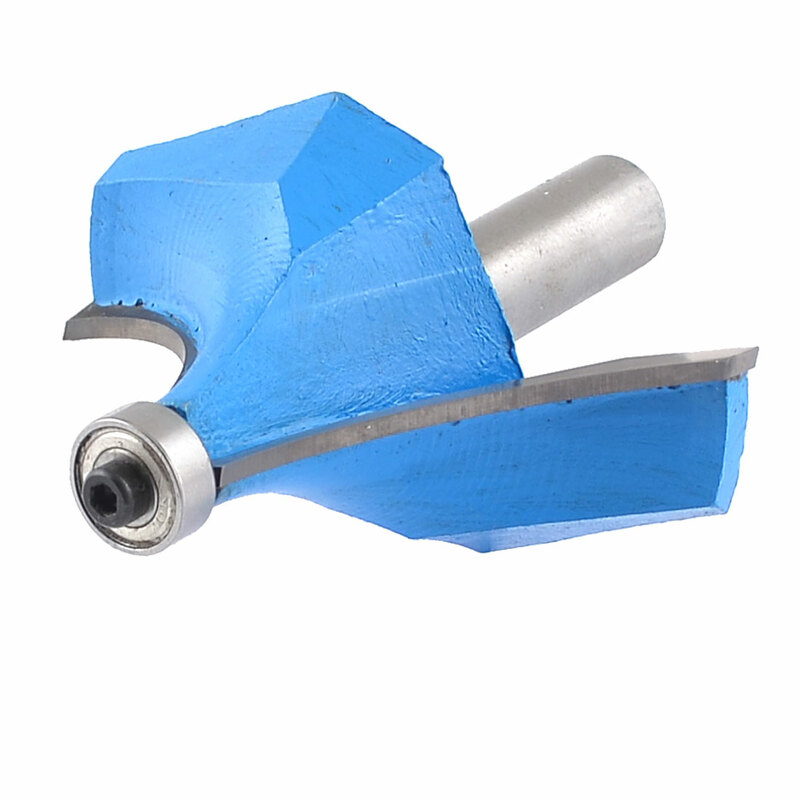 ›End Bearing Guide Metal Roundover Bit Router Cutter 1/2" x 2 1/2"
End Bearing Guide Metal Roundover Bit Router Cutter 1/2" x 2 1/2"
Woodworking rounding over router bit, end bearing guide, straight shank, metal construction. Suitable for cutting all composition materials, plywood, hard wood, and soft wood. Used on hand held and table mounted portable routers (Routers are not included here). Radius : 31.8 mm / 1 1/4";Cutting Width : 31.8 mm / 1 1/4";Bearing Diameter : 13 mm / 1/2"
Cutting Diameter : 76.5 mm / 3";Cutting Depth : 38 mm / 1 1/2";Total Length : 85 mm / 3.3"